During the debate on whether or not to house terrorists – and terrorist suspects – in the continental United States as opposed to Guantanamo Bay, there was a lot of fear mongering, but the truth of the matter is that it is almost impossible to escape from a maximum security prison in America. And, though American prisons can also be dangerous, it is unlikely you’ll get killed. Not so in Mexico, as was made clear on at 5 p.m. on Wednesday, January 4th, when a riot broke out at the Centro de Ejecución de Sanciones de Altamira, in the east of the country near Tampico on the Gulf coast. The brawl left 31 prisoners dead and another 13 wounded. Among the dead, nine were federal prisoners and 22 were being held for non-federal infractions. Apparently it all started when a group of 11 prisoners from section 11 invaded section 12 of the prison. Once there, they attacked another group with shivs and other improvised sharp objects and knives. The intermingling of the two prison populations, according to authorities, was against procedure. Staff were slow to intervene and restore order. In fact, it was the federal police who rushed to the scene to support local authorities in order to bring the situation under control. 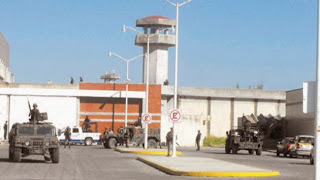 On occasion, Mexican prison officials have been accused of being pre-advised of such attacks, and of then allowing – if not aiding and abetting – the ensuing conflict. The reasons range from fear, corruption, and even indifference, in which the loss of life of common prisoners is of low concern. Thirteen presumed culprits have been detained and presented before the Ministerio Público (public prosecutor). The incident has also been reported to the Federal Attorney General "to determine the corresponding responsibilities." The Secretary of the Interior, Alejadro Poire, spoke by phone with the governor of Tamaulipas, Egidio Torre, with the two promising “full support and cooperation” in the investigations to clarify what happened and to punish those responsible. Mexico has a dismal record of ensuring prison security. 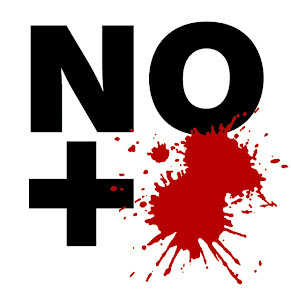 Throughout Mexico, there have been 53 deaths due to prison brawls in the past three months. On October 15 last year, in the border city of Matamoros, Tamaulipas, a dispute between two inmates in a prison escalated into a two-and-a-half hour long fight, leaving 20 inmates killed and 12 injured. And on July 25 17 inmates died in what officials called an “execution”. The prison, in violence-plagued Ciudad Juarez in the north of the country, housed rival gang members, and it seemed one group targeted another – much like what appears to have occurred at the Centro de Ejecución de Sanciones de Altamira. The ensuing investigation resulted in the arrest of the prison director and four guards, who then faced misconduct charges. Most recently, on Thursday, December 29, three inmates from Puente Grande prison escaped in maintenance truck. That prison was made famous years before as the place where the American murderer, Glen Stewart Godwin, escaped. It was also where the most wanted man in the America’s, Joaquín Archivaldo Guzmán Loera, also known as “El Chapo”, escaped. And this isn’t the first time the Centro de Ejecución de Sanciones de Altamira has been in the news. Back in December, 2009, a routine medical prison transfer of a female inmate was intercepted on the Tampico-Mante road by several gunmen. Five guards were wounded in that incident. Which is all to say that the Mexican government is likely quite happy that Benjamin Arellano Félix , leader of the Tijuana cartel, pleaded guilty in U.S. federal court in San Diego to racketeering and conspiracy to launder money. Federal prosecutors agreed to drop other charges which would have landed Arellano Felix in prison for 140 years, opting instead for a plea that calls for a maximum of 25 years in prison. Arellano Félix once headed the mighty Tijuana cartel. Two things are certain. The Mexican and American people are safer for having Arellano Felix in an American prison; and Arellano Felix is himself safer behind bars north of the Rio Grande.